Rotherham-based THS Tools Limited has been acquired by engineering distribution company Troy UK, for an undisclosed sum. The Templeborough-based tool wholesaler is the UK's largest buying group for independent industrial distributors. Similarly, Devon-based Troy is the UK's leading group of independent engineering distributors in the field. The companies believe that the deal creates an independent buying group of substantial scale, and assists both organisations in creating further competitive advantage for their members in the combined challenge of competing with national rivals. In the buying groups, members combine their purchase volumes and use this to improve their prices and in turn become more competitive, providing an alternative to national distributors, builders' merchants, tool specialists and online retailers. THS members have a collective turnover of £300m and 140 outlets can offer commercial terms with 180 plus brand leading suppliers such as 3M, Makita, Draper and DeWalt. The deal concluded on April 1 and it is expected that the well-known THS brand will remain and staff at its operations at the Head Office in Rotherham will also remain in place for the foreseeable future. Paul Kilbride, chief executive at Troy UK, said: "Our philosophy has always been to invest strategically and responsibly. "This exciting new chapter further reinforces our goal to attract the highest quality products and customer service at the best price for our valued membership, thus increasing our buying power to its optimum level. 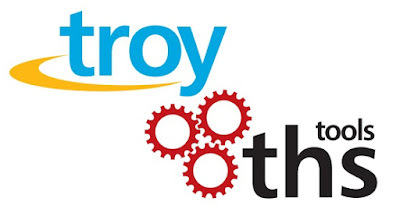 "We are delighted to welcome THS to the Troy Group and look forward to prosper and grow for years to come." Troy UK were advised by Mazars. THS Tools Group was founded in 1975 by Ken Yarker and a group of independent dealers and only had five suppliers. By 1980, THS had a distribution network of 39 members and 50 suppliers. In March 2001, THS headquarters relocated from Rugby to its current premises based in Templeborough, Rotherham. Since the relocation THS has continued to grow to become the UK's largest buying group for independent industrial distributors with over 100 members and 180 suppliers.